Disposable prophy angle in polycarbonate with soft, flexible 100% latex-free cup for low speed prophy attachment handpieces. 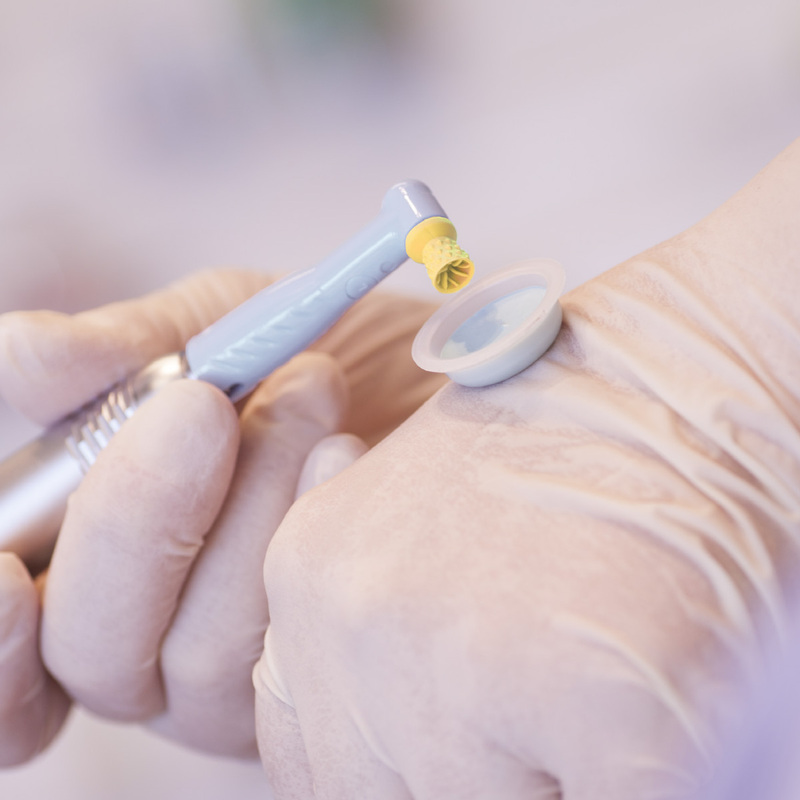 Prophy Angle minimize prophy paste particles to enter the handpiece and damage the mechanism. Smooth running, silent, vibration-free and no overheating. 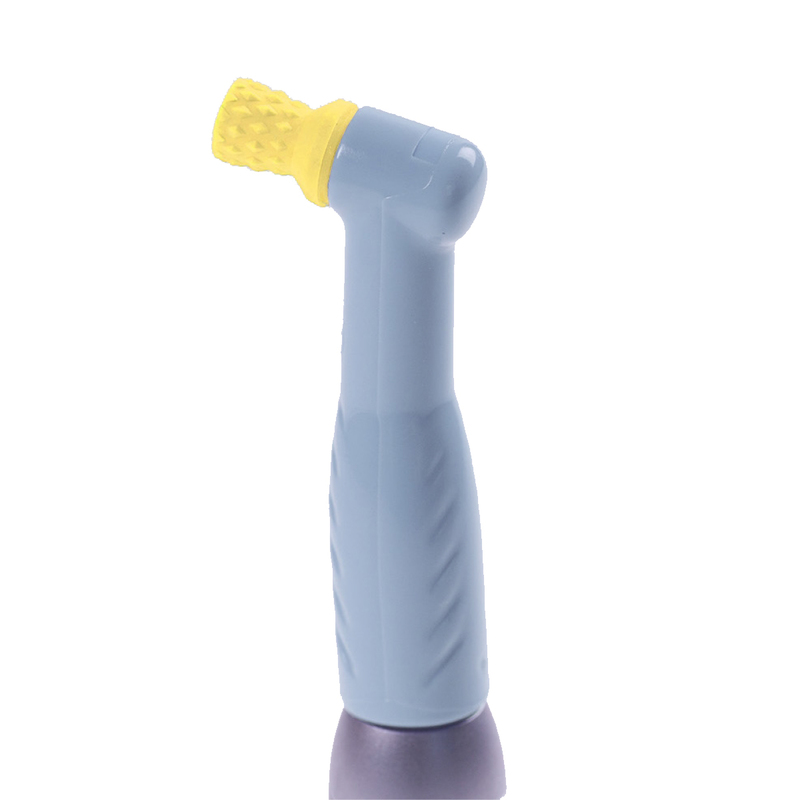 With its ergonomic shape and slim neck design Prophy Angle enhance access to posterior teeth and make it comfortable for the patient while reducing hand fatigue and repetitive wrist motion for the hygienist. The exclusive ProphyCare design cup flares and flexes to tooth contour to aid in selective stain removal and optimize interproximal cleaning and splatter control with less pressure and operator fatigue. The soft flare improve the subgingival access by gently massages the gingiva and reaches the pockets for effective plaque biofilm removal. The size of the cup is optimized for easy access in hard to reach areas without compromising the paste holding capacity. The interior webbing holds adequate amount of prophy paste, minimizes splatter and increases stain removal. For treatment on adults and pediatric use and for substitutes pointed polishers. To be disposed after usage and when changing to abrasive agents with smaller grit. Individually wrapped single use prophy angle with attached rubber cup, packaged 144 pcs per box.